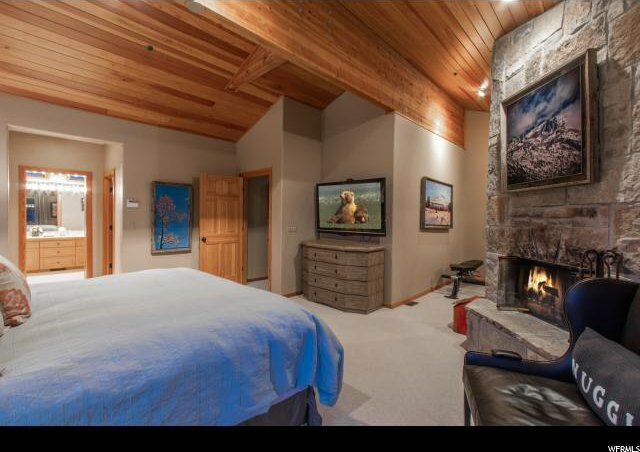 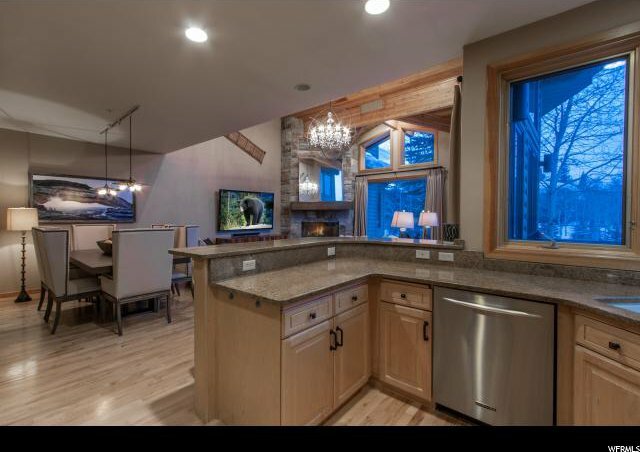 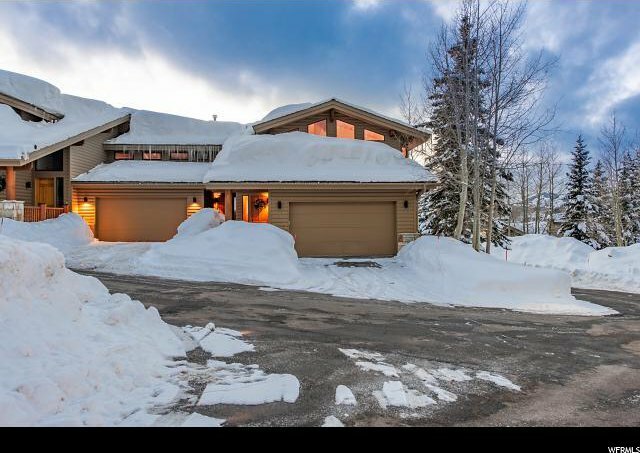 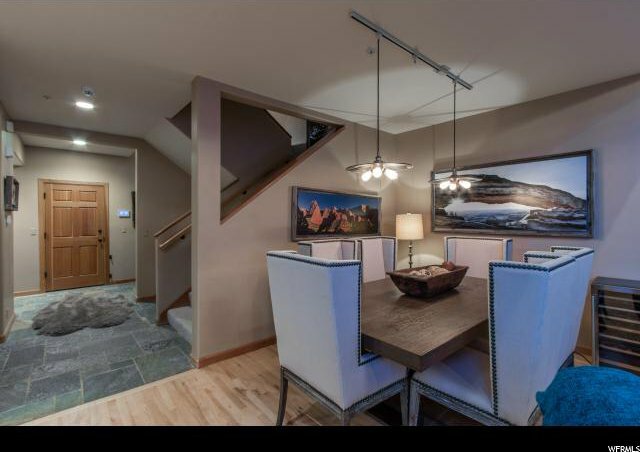 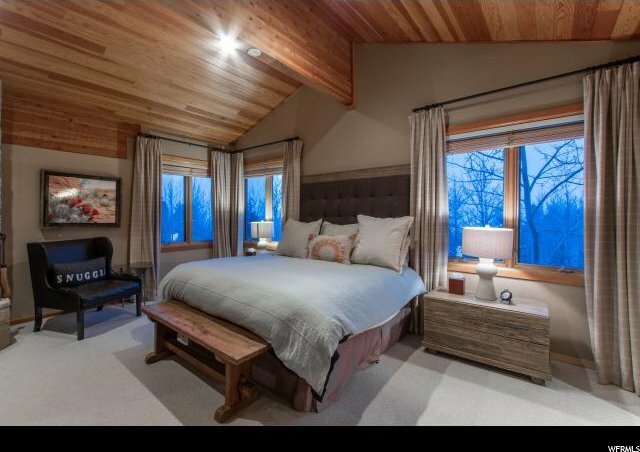 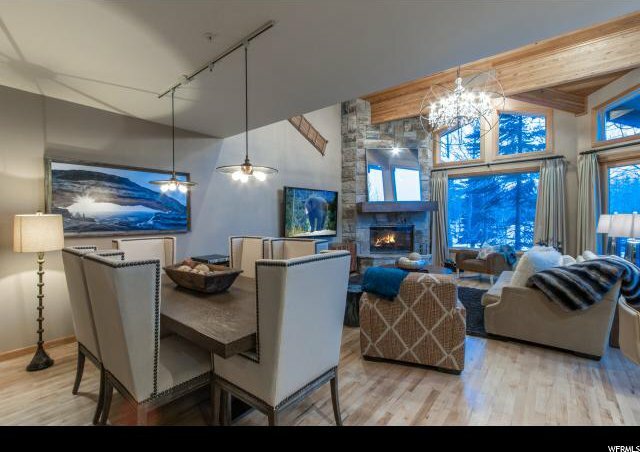 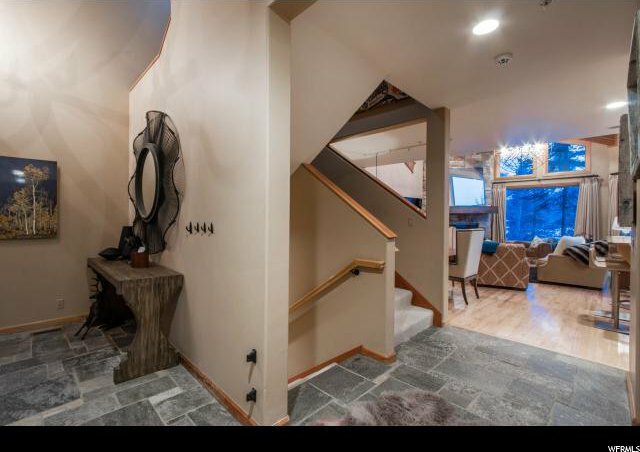 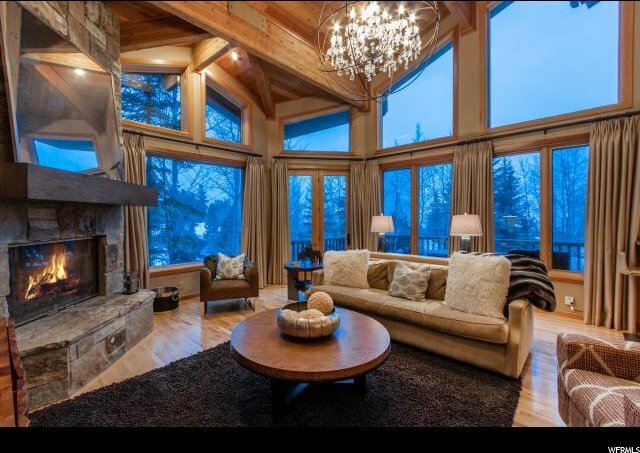 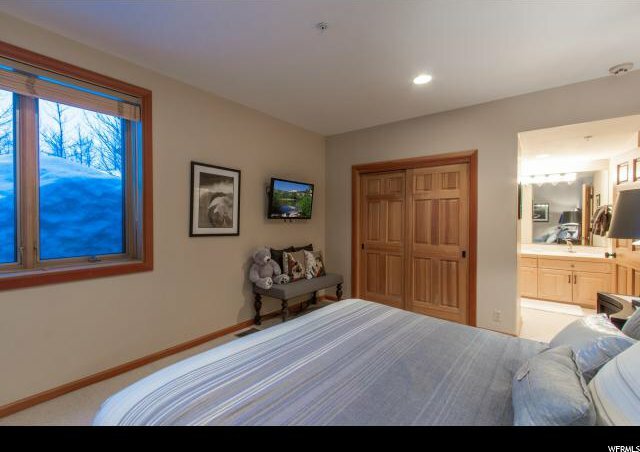 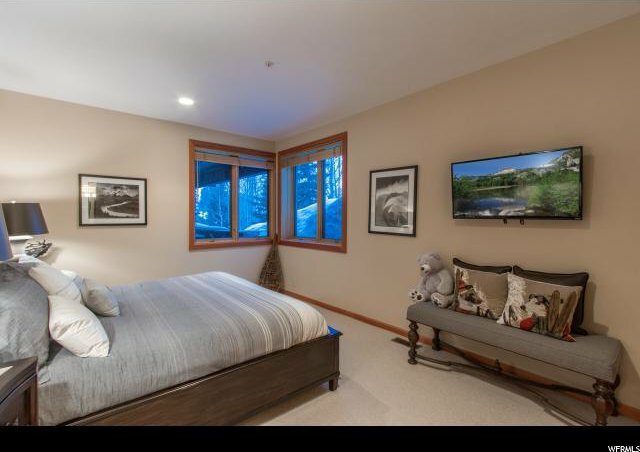 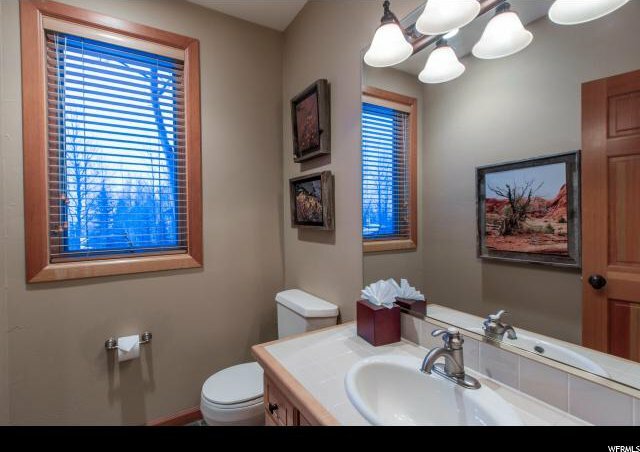 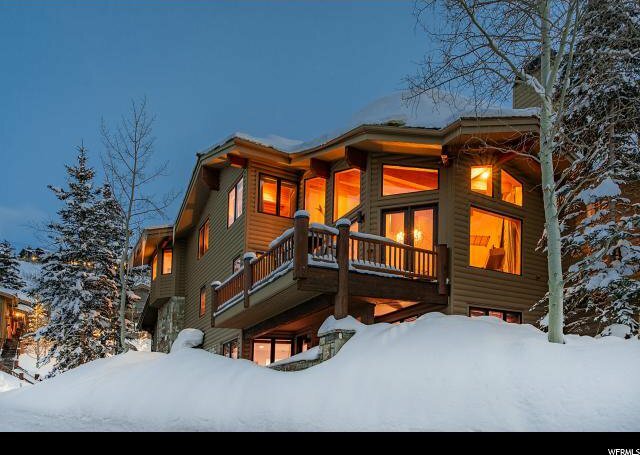 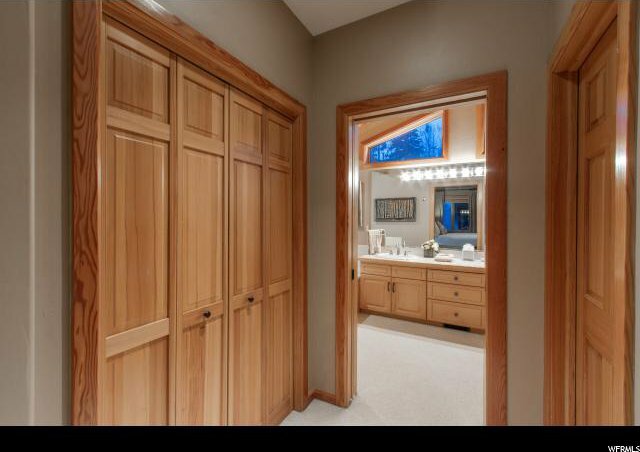 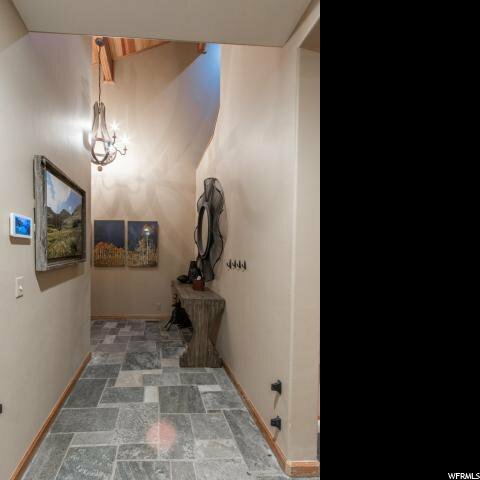 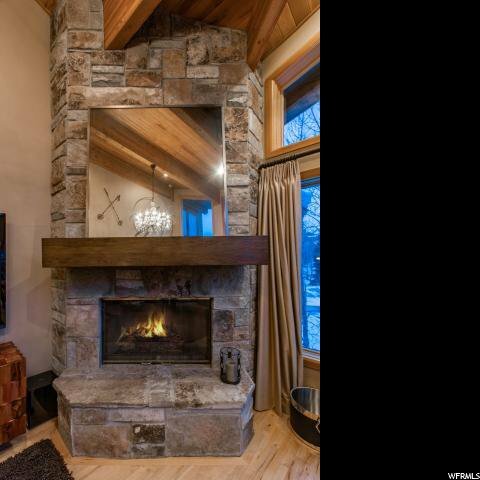 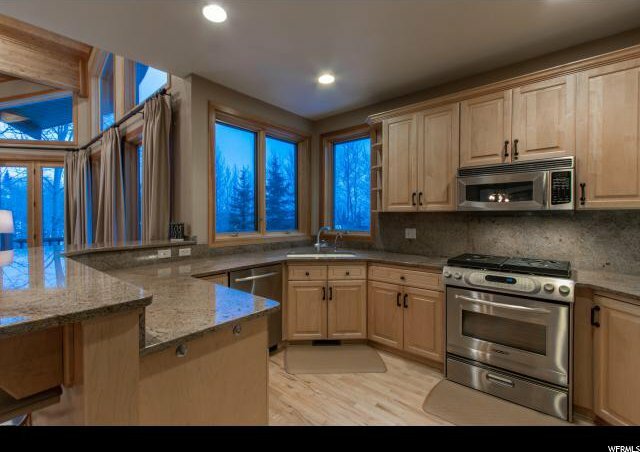 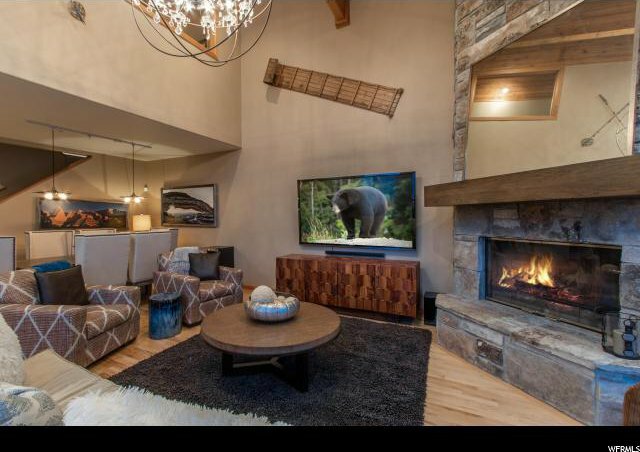 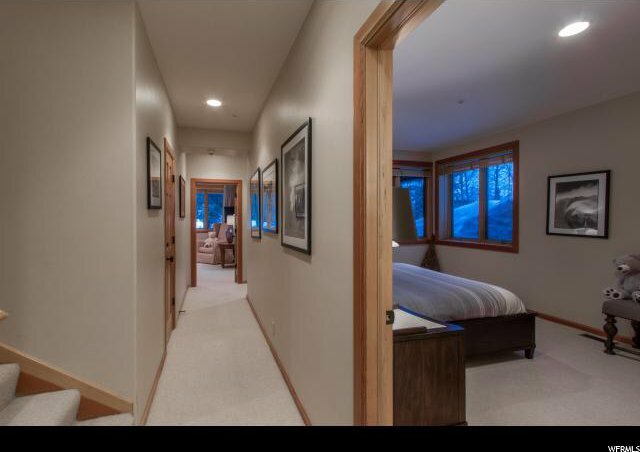 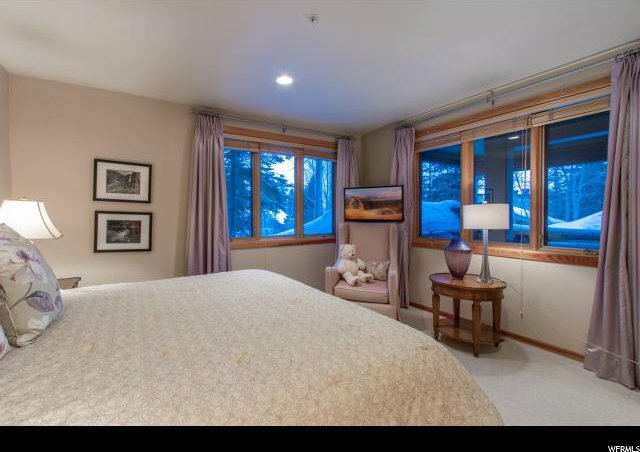 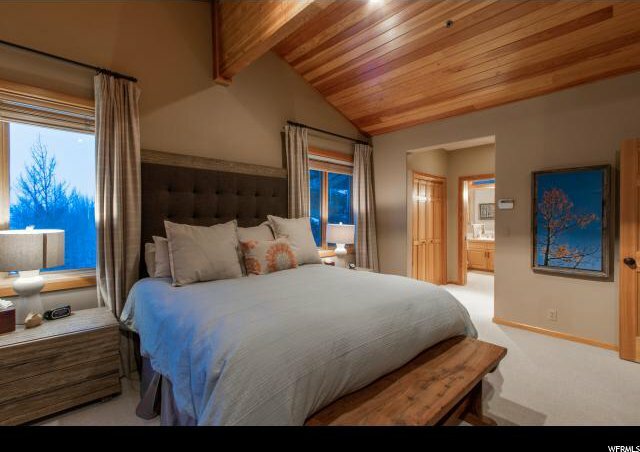 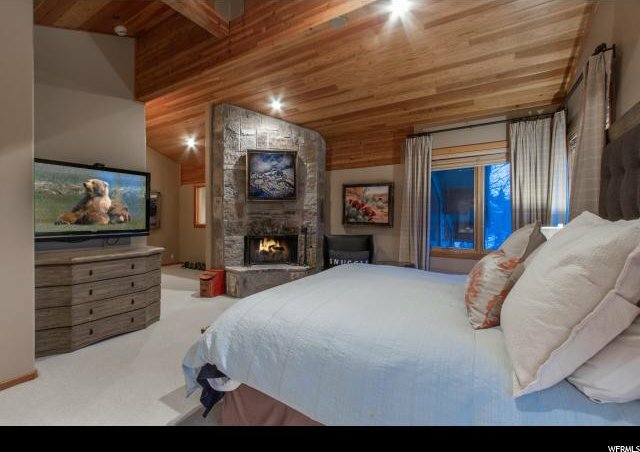 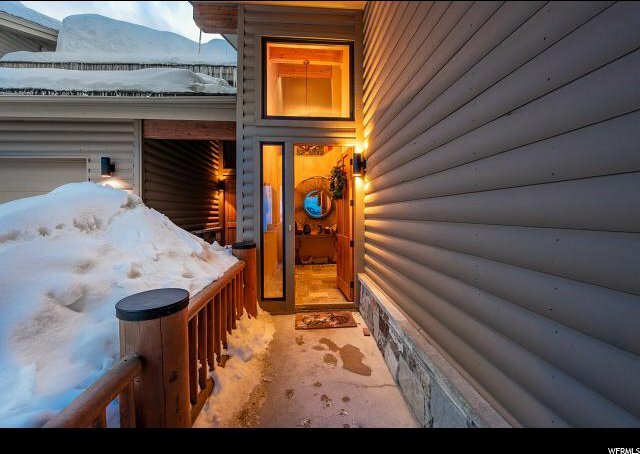 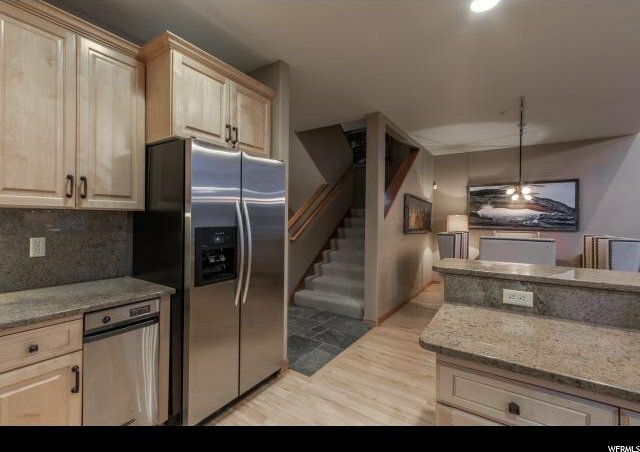 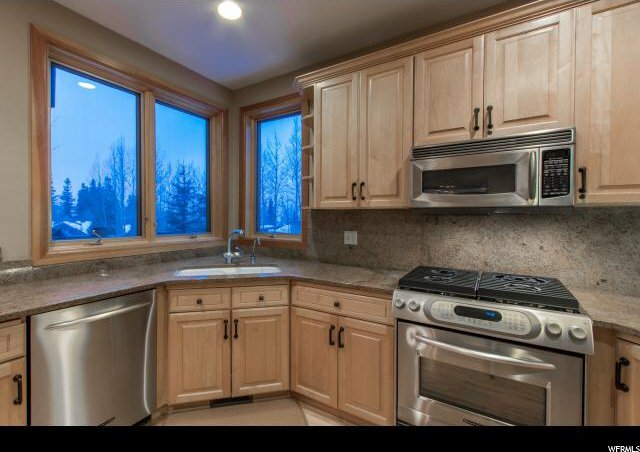 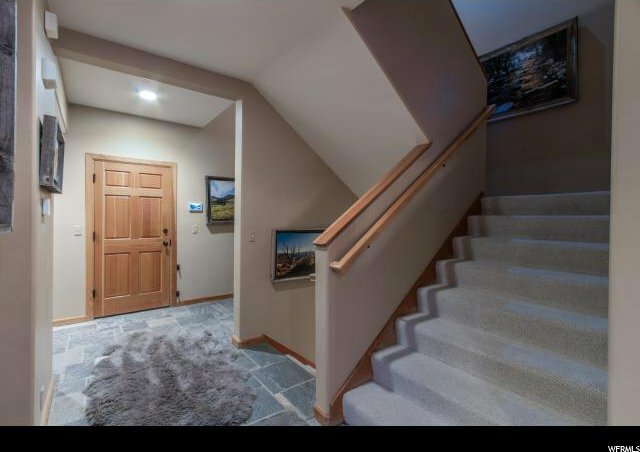 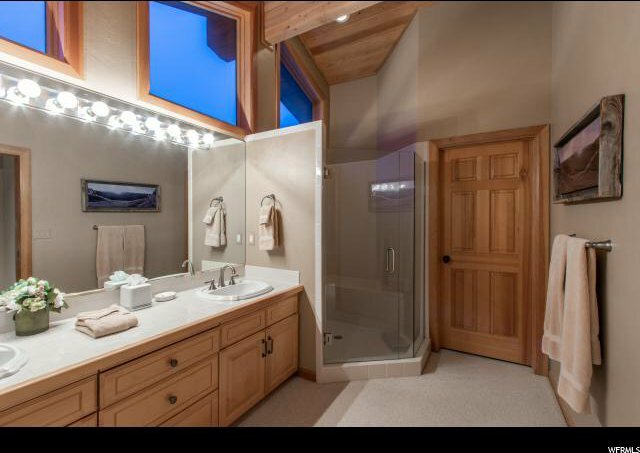 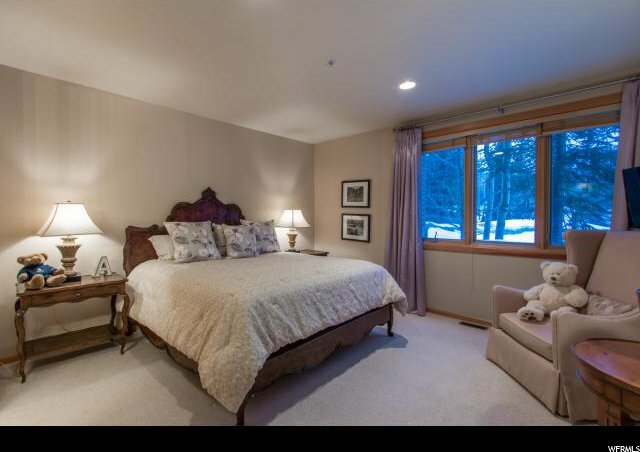 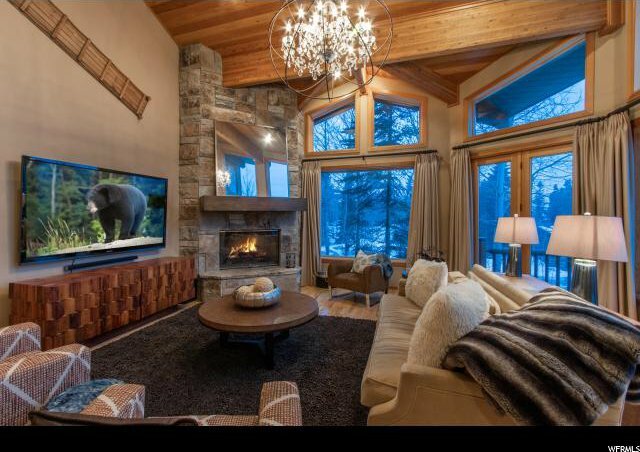 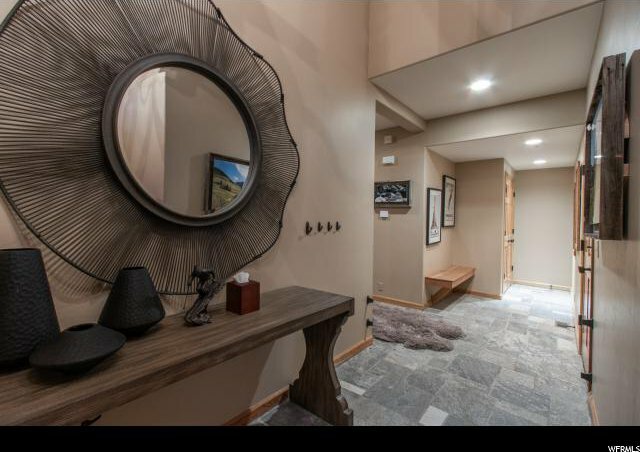 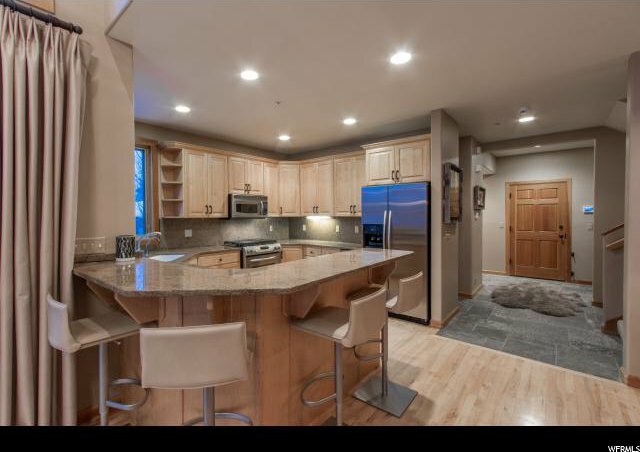 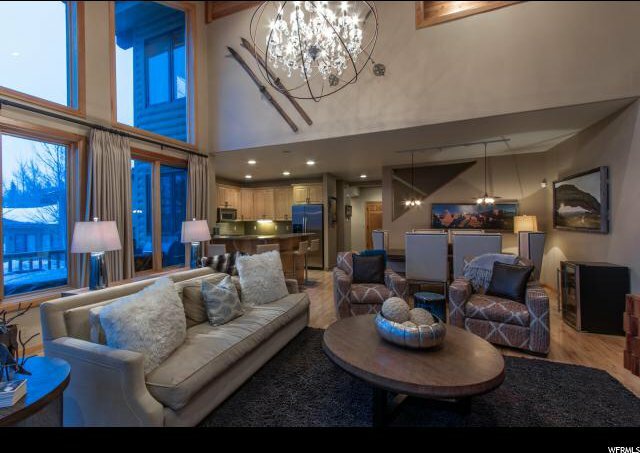 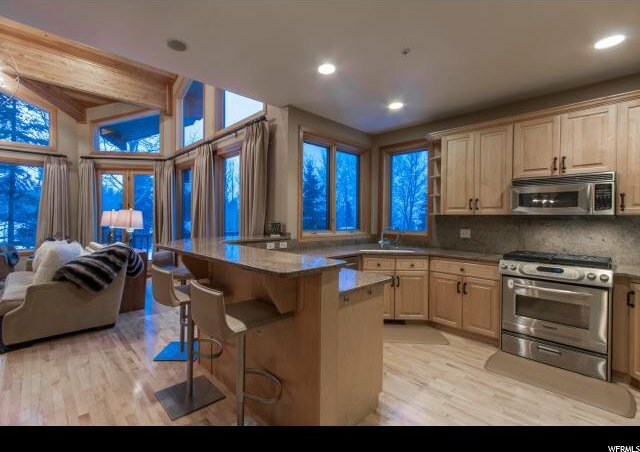 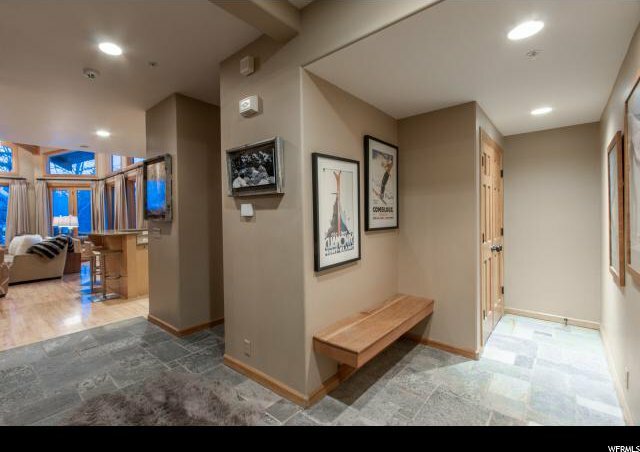 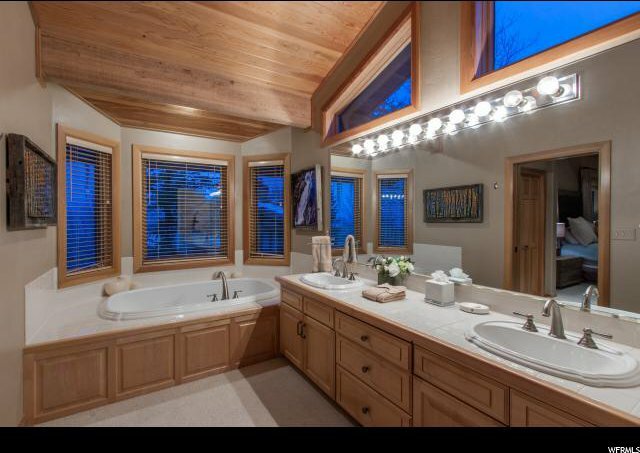 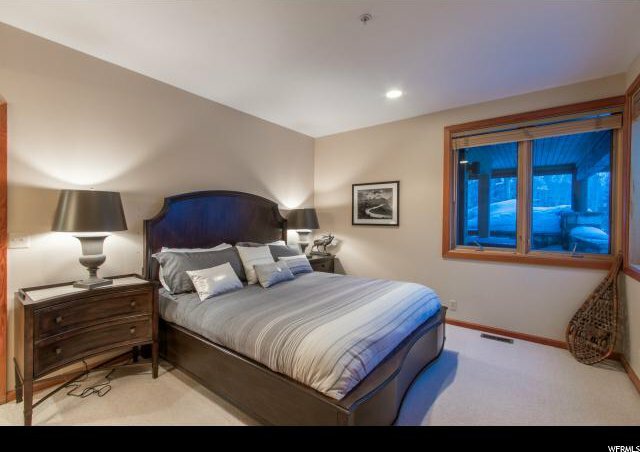 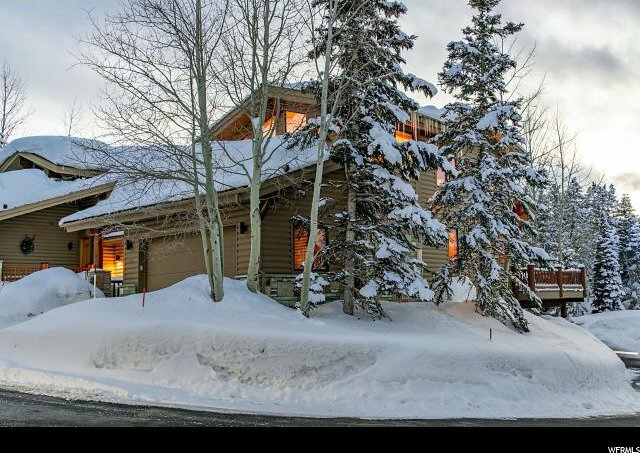 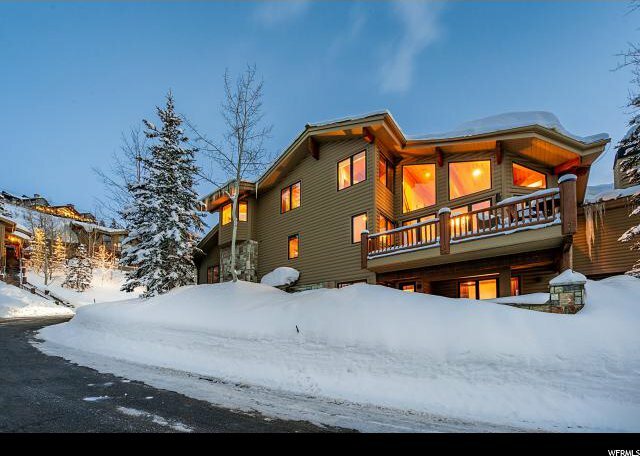 This Deer Valley townhome combines excellent ski access, beautiful views, a plethora of natural light and a spacious, functional and inviting layout. 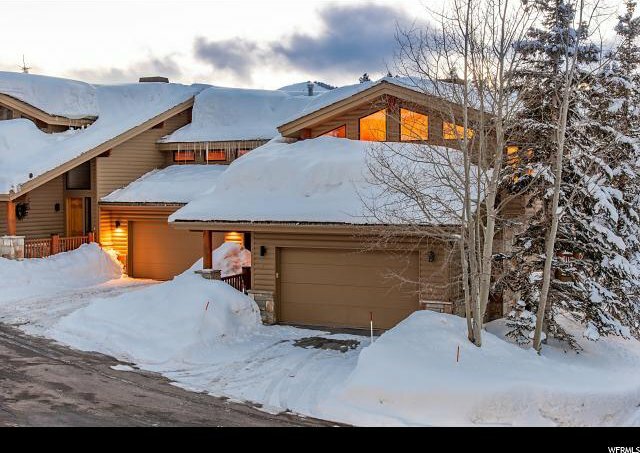 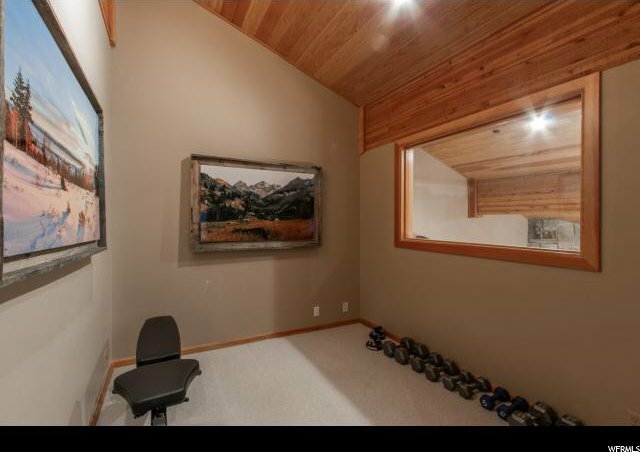 Location is king in real estate and this residence combines direct ski in access along with walkability to all of the amenities, shopping and dining in Silver Lake Village. 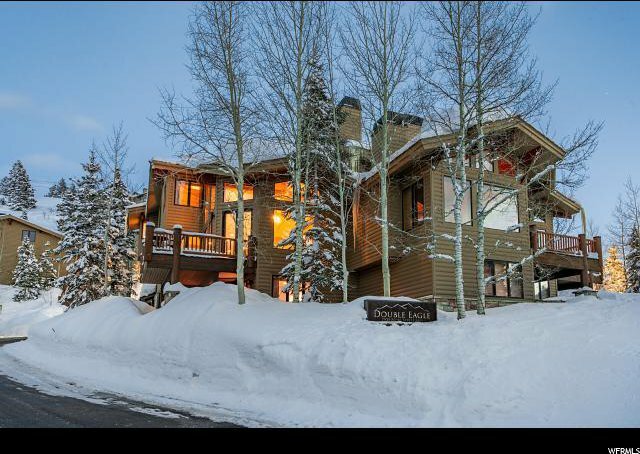 Park City's historic Main Street is also just minutes away. 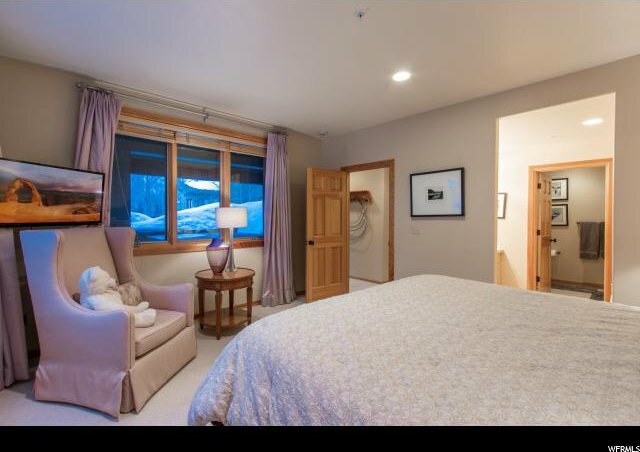 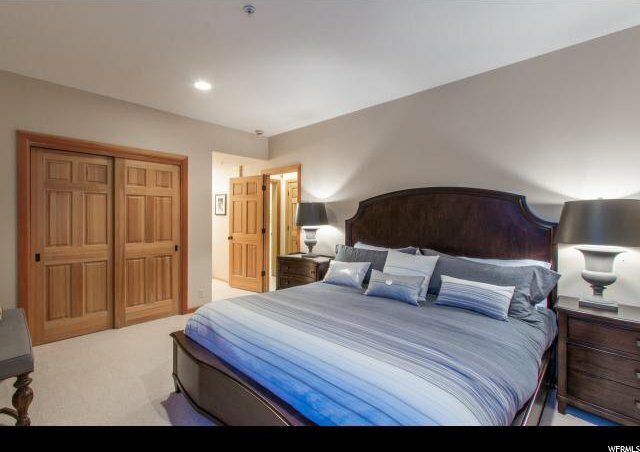 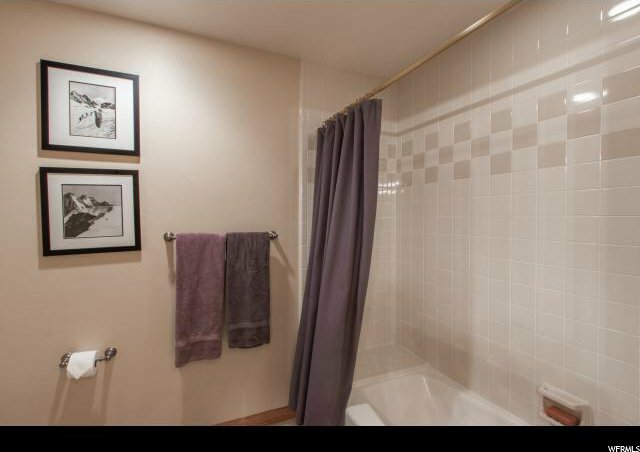 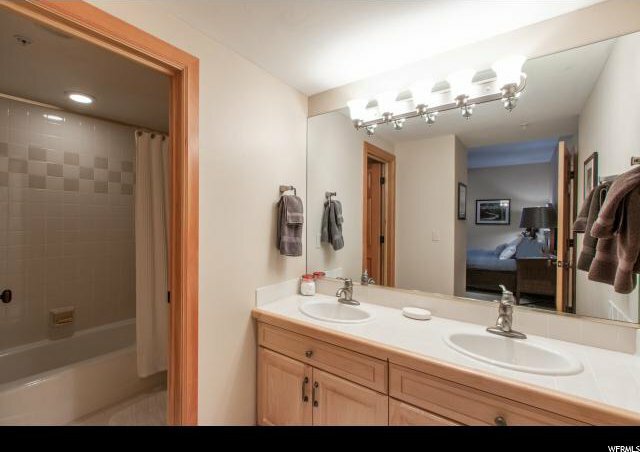 The layout of the condo is great for accommodating groups of travelers with a large master suite occupying its own floor along with two additional guests suites on the lower level. 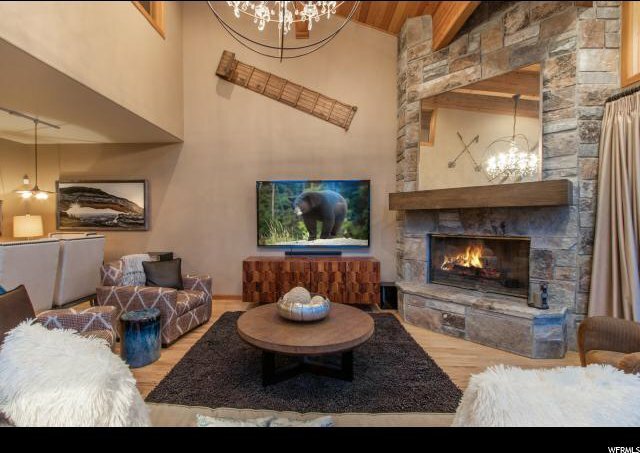 The main floor great room is a wonderful gathering area with vaulted ceilings, two story floor to ceiling windows, a large kitchen and dining area, natural stone wood-burning fireplace and expansive deck. 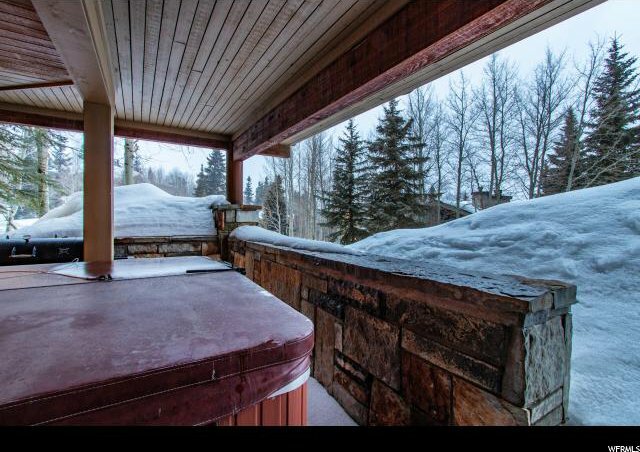 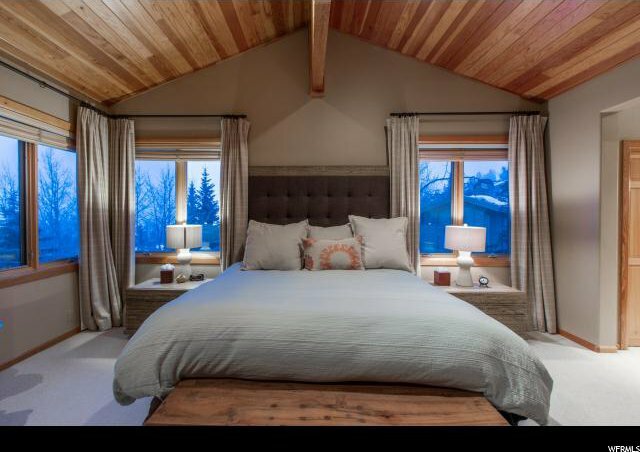 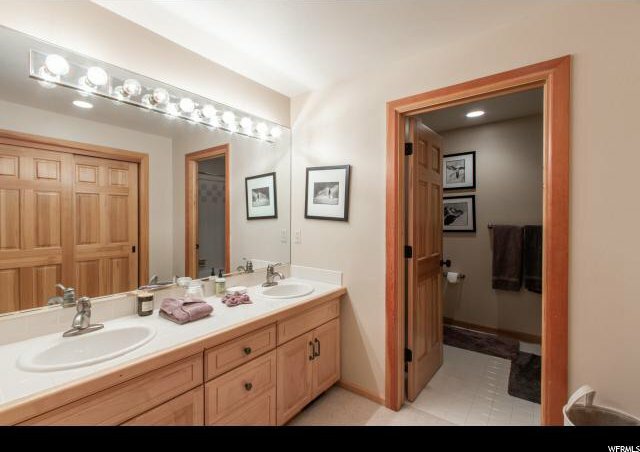 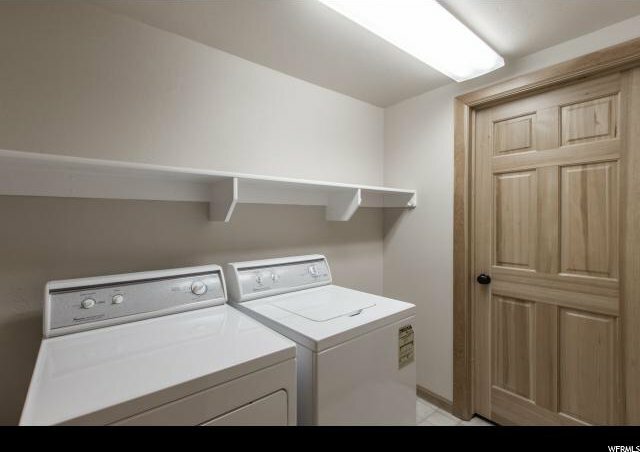 Additional features include an attached two-car garage and a covered patio with outdoor hot tub. 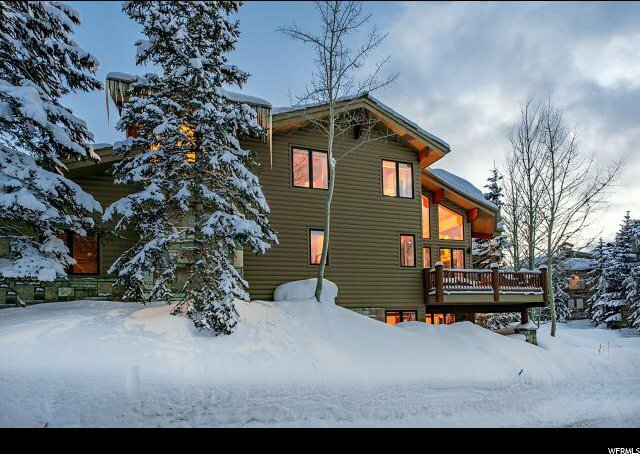 The orientation of the residence also allows for great western views of the surrounding mountains.